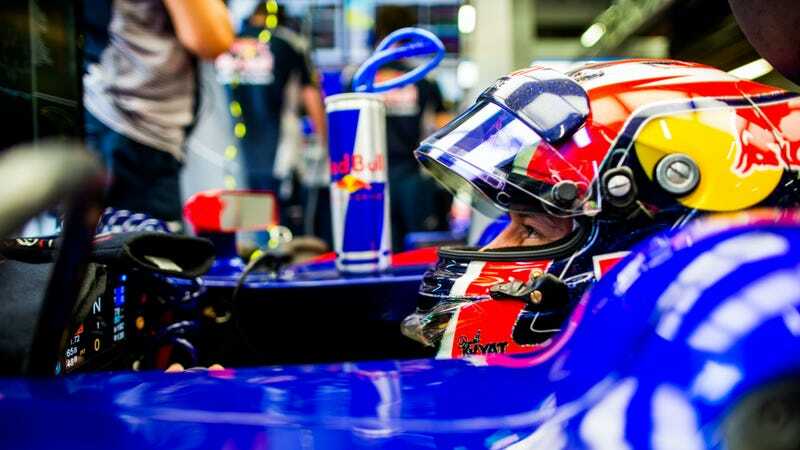 Formula One driver and occasional Russian crash missile Daniil Kvyat has finally been moved aside on Red Bull’s b-team Scuderia Toro Rosso, reports Autosport. Red Bull junior driver and 2016 GP2 champion Pierre Gasly will be taking Kvyat’s place at Toro Rosso for most of the rest of the season as a try-out for next year in F1. Kvyat had already been moved back off Red Bull’s main F1 team down to Toro Rosso to make way for Max Verstappen in 2016, and where he’s continued to underperform. We were frankly surprised that he stayed on the team for 2017. In a season that includes two very bad McLarens, Kvyat somehow sits 19th in the drivers’ championship standings out of the 21 drivers who’ve participated in F1 this year, beating only Sauber’s Marcus Ericcsson and single-race Sauber stand-in driver Antonio Giovinazzi. Toro Rosso was established by Red Bull to bring youngsters from its junior programme into Formula 1 and that’s what we are doing by giving Pierre this chance. He is the next in line at Red Bull for this opportunity and he has shown that he deserves it, having taken the 2016 GP2 title and this year being very competitive in the Super Formula series in Japan. He really has a valid chance of winning the title, as he is only half a point behind the leader. The driver switch gives us an opportunity to make a more informed decision regarding our 2018 driver choices. For a variety of reasons, some of them due to technical problems, but others being mistakes of his own making, Daniil has not really shown his true potential so far this year, which is why we are standing him down for the next races. 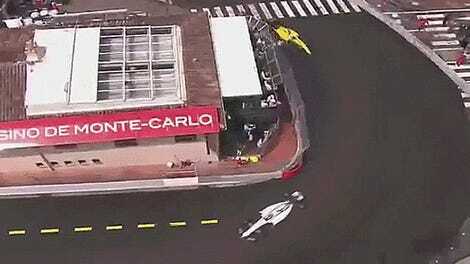 This will give us the opportunity to evaluate Pierre on track during a proper race weekend. Kvyat will remain in the Red Bull family of drivers during the break, so it’s not like he’s been fired per se. It’s more of an involuntary vacation. Meanwhile, this is exciting news for everyone who hoped Red Bull would promote Gasly into Kvyat’s seat at the end of last year. Gasly’s shown real promise in his results in lower series, so it’s about time a seat opened up for him in the main F1 show. Gasly will likely be racing for Toro Rosso in Malaysia and Japan, but not at the United States Grand Prix, where it conflicts with the Super Formula finale, Autosport notes. Gasly has been racing for Team Mugen in Super Formula this year, where he sits second in the championship standings. Toro Rosso’s standout driver Carlos Sainz Jr. will move to Renault next year as part of F1's giant game of musical chairs that let Toro Rosso out of their contract with Renault early, thus opening up at least one seat on the team that Gasly is favored to get.